Ian Randal (@kiwipom) spoke at the XDDN Melbourne April meeting. He lightly touched on what IoC is, in the context of how Caliburn.Micro uses it. He then went on to show some demos of Caliburn.Micro. He demonstrated how a XAML page can be created which binds to a ViewModel, without requiring any “UI glue code” to stick it all together. It made for a simple application that had a higher percentage of the code being business logic, rather than scaffolding. Share a single interesting thing you’ve worked with recently. A tool, framework or technology for example. I had used GitHub frequently in the past as a consumer of data. To download OSS applications to use, or .Net frameworks to include in my projects. However, recently a tweet caught my attention. People need to stop putting code in zip files on their blog and use a scm hosting provider like github or something. host the the .zip file somewhere for readers to download. 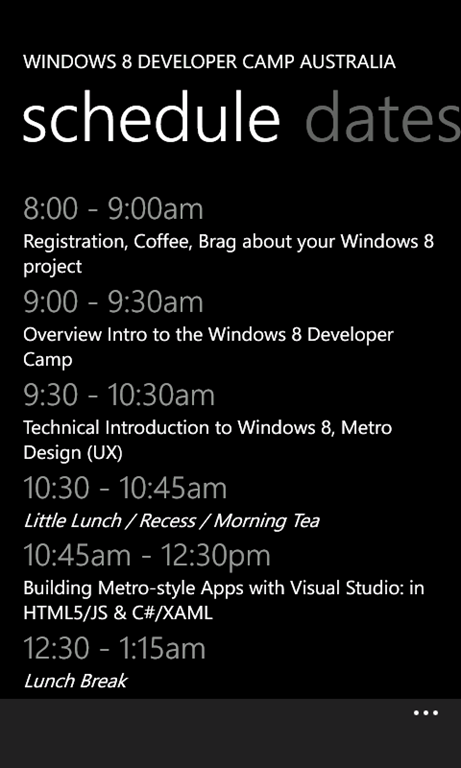 I created my first few repositories https://github.com/DavidBurela and uploaded the source code for a Windows Phone 7 application and source code samples from presentations I gave. GitHub makes it really easy to get started and they have a heap of resources to get started. The README file is written in a format called MarkDown (as opposed to mark up languages). It can be difficult to write the README files without seeing rendered in real time. This is where MarkPad comes in. It is a MarkDown editor with real time previews. After a long hiatus, it is time to continue with the Developer Blog Banters (DBB). Each banter focuses on a single topic allowing passionate developers to blog on a common topic. The goal being to get more developers blogging and cross posting within the community. The guys over at Code52 this week ask you to share a single interesting thing you’ve worked with recently. A tool, framework or technology for example. We want to hear about what you have been working with in your spare time. We want to hear about the cool stuff we haven’t had a chance to use. We want to get jealous about hearing how you’ve used it and what you’ve learned about it. We’re looking for people to write short articles on stuff they’ve used recently or something they’ve built recently to share with the big wide world. what did you find that is awesome? what is awesome about it? what did you learn from using it? is there some code that people can have a play with? Application tiles in your application can be updated by sending a formatted XML message to the TileUpdateManager. The easiest way to achieve this is to get a base template for the tile style that you want (Text only, Image, Image and Text, etc) then modifying the Text or Image elements of the template. The code below shows how a XML template can be taken and updated with custom text. The XML document is then used to create a TileNoficitacion which is then sent to the TileUpdateManager. /// Set the application's tile to display text content. /// After clicking, go back to the start screen to watch your application's tile update. // Tiles use a predefined set of standard templates to display their content. 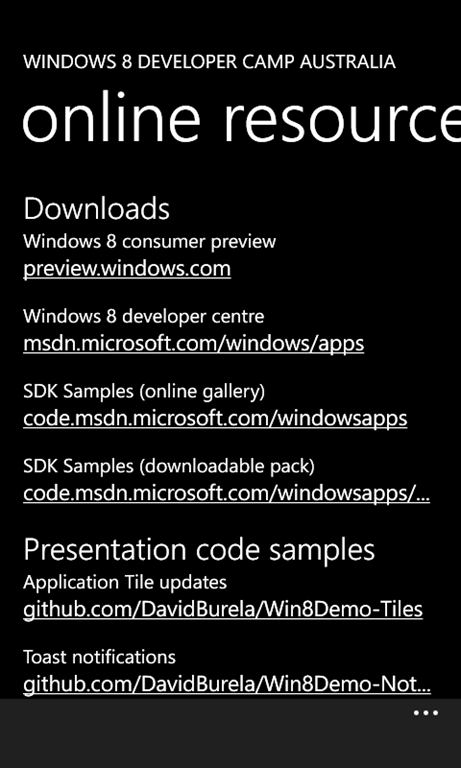 // The updates happen by sending a XML fragment to the Tile update manager. // Find the 'text' element in the template's XML, and insert the text "Hi :-)" into it. /// Set the application's tile to display a local image file. // It is possible to start from an existing template and modify what is needed. // Alternatively you can construct the XML from scratch. // The template is set to be a TileSquareImage. This tells the tile update manager what to expect next. // All the XML elements are chained up together. A remote image can be used by again using a template (or hand crafting the XML from scratch as in the previous example), but this time providing a URI to an image hosted on a remote web server, rather than a local application resource. /// Set the application's tile to display a remote image on the internet. I have made the source code available for anyone that wants to see how a simple app can be put together in only a few hours and submitted to the marketplace. To try and streamline the XDDN groups around Australia, I have been working with the organisers of the other cities to create a few central locations for everything. 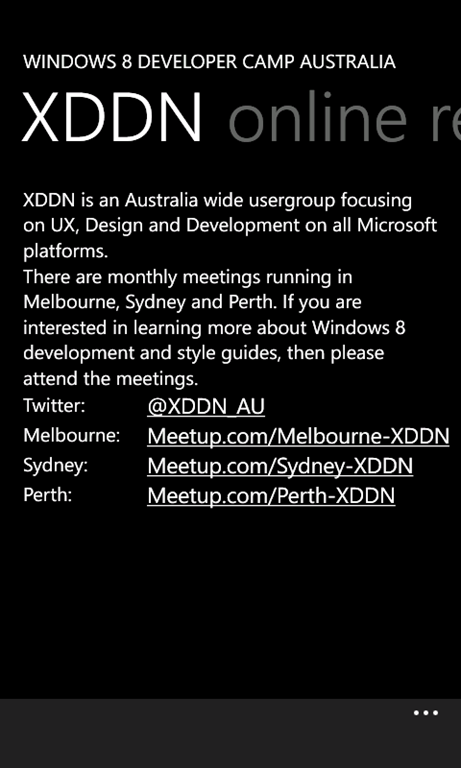 For those unfamiliar with XDDN, it is a usergroup I run that focuses on UX, Design and Development on Microsoft UI platforms. Such as Win8, WinPhone7, HTML5, etc. The main reason for moving everything to Meetup is that it allows everyone to easily see upcoming events and get automatically notified when new events are created. Having XDDN on Meetup.com also supports my other goals of getting more people involved with their local development communities. Joining the groups will allow you to easily find other local groups that you may want to attend, such as Agile or Alt.Net groups. Please join the group for your city, as the old event sites (such as EventBrite) will be slowly decommissioned over the next few weeks. It is with GREAT pride and pleasure that I am able to finally announce that my first book has been published and is available to be purchased right now! 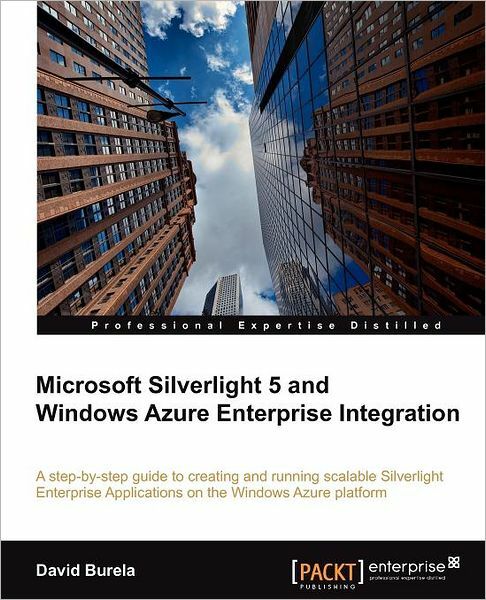 Microsoft Silverlight 5 and Windows Azure Enterprise Integration details how enterprise Silverlight applications can be written to take advantage of the key features of Windows Azure to create scalable applications.